God’s Love We Deliver hosted their 10th Annual Golden Heart Awards dinner at Spring Studios in New York City. The evening featured cocktails, dinner and an awards presentation. The star-studded evening helped raise $2 million. The Golden Heart Awards celebrate the influential contributions of individuals, corporations and foundations to the organization’s cause. Funds that were raised at the awards ceremony will help ensure that no person in the NYC Metropolitan area need suffer the dual crises of hunger and life-altering illness. 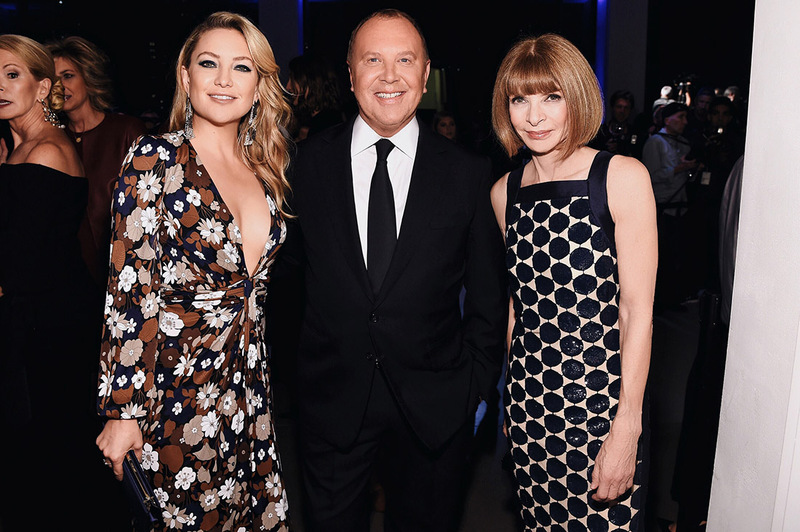 Michael Kors has many philanthropic commitments, including Watch Hunger Stop, a partnership with the United Nations World Food Programme to help build a world with zero hunger. Launched in 2013, Watch Hunger Stop has raised over 13 million meals for those in need. Over the course of more than twenty years, Michael has given his time and support to God’s Love We Deliver, reflecting his deep-rooted respect for this exceptional organization. This year, Michael will have the honor of presenting the Michael Kors Award for Outstanding Community Service to model and entrepreneur Karlie Kloss.